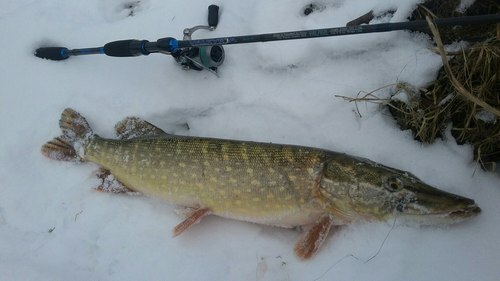 The lure is available in 3 sizes: 1.5 inches, 2 and 3 inches. Color range is quite diverse. 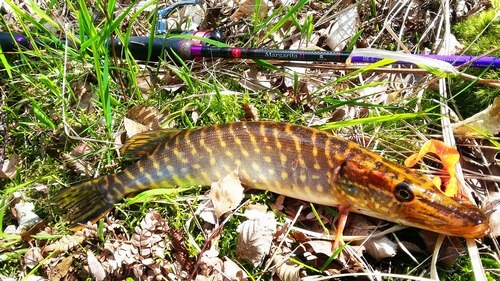 The lure is marketed as “edible”. Bait refers to the type of “Twister”, a classic I would not call. 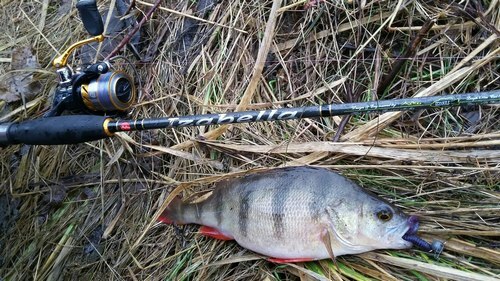 The lure has a narrow body, the tail is also quite narrow, end of the tail part is made in the form of the letter G.
This geometry created a versatile bait. This Twister and the like worm, leeches. Bait works on any transactions and animations. Slow and fast uniform wiring – it’s a classic Twister. Explosions, podbrey is a game more like a worm, leech. On the tail of the lure there are the bumps that create additional sound effect to attract the attention of fish. The main size that I used is 2 inches. Despite its small size, the bait was often quite large specimens of fish weighing up to 2 kg. 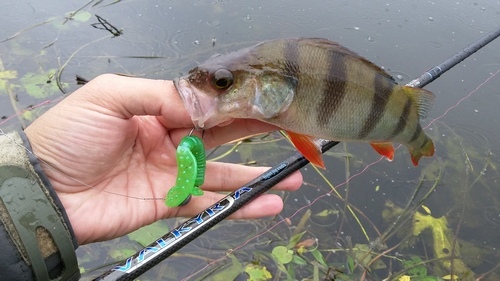 Bait in 1.5 and 2 inch is especially designed for catching perch. You can also count on catching pike and Zander. 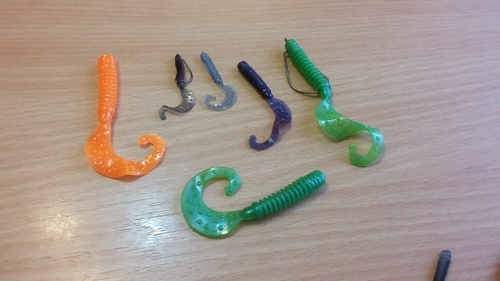 Bait in the 3 inch size — universal size. You can count on catching perch from a medium size pike and walleye. One of the most important factors for me is the strength (vitality) lures. Bait at the rate of 3 inches strong enough. “Survivability” of these lures I would rate 5 on the five point scale. Also bait very well kept at the offset (from slipping from the stairs) the head part strong enough, I have basically not one bait on the offset of the head is not broken. 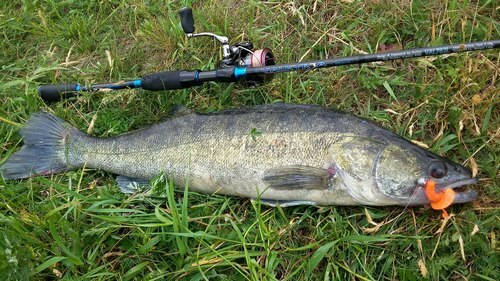 Bait in the amount of 1.5 and 2 inches, unfortunately, not strong enough, it often happens that the bass pulls the tail of the lure, the body of the bait also can not boast of strength. The strength of the lures in this size I would have rated a 4 on a five point system as it is not as critical. Working the bait and the predator rarely leave her without attack. Bait is included in my mandatory kit and is always with me fishing. 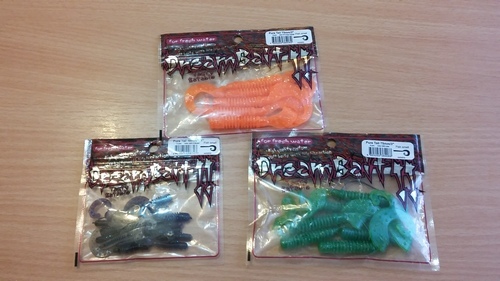 Working the bait with which you can count on catching the predator. The lure is durable enough in size 3 inch, sizes 1.5 and 2 inches does not have good strength characteristics. The cost of the bait – price budget.